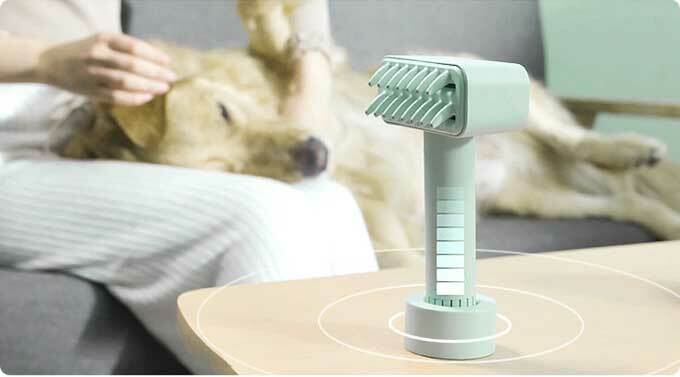 Kcomb: First Electric Effective Comb For Pets! Every pet lover wants to improve the health and well-being of their pets. Pet grooming is as important as feeding healthy food and playing games. Grooming pets help cats or dogs refresh their hair as well as save humans time for cleaning those falling animal hairs. Many cats and dogs are allergic to fleas. More and more pets are being brought outdoors, it results in the prevalence of fleas. 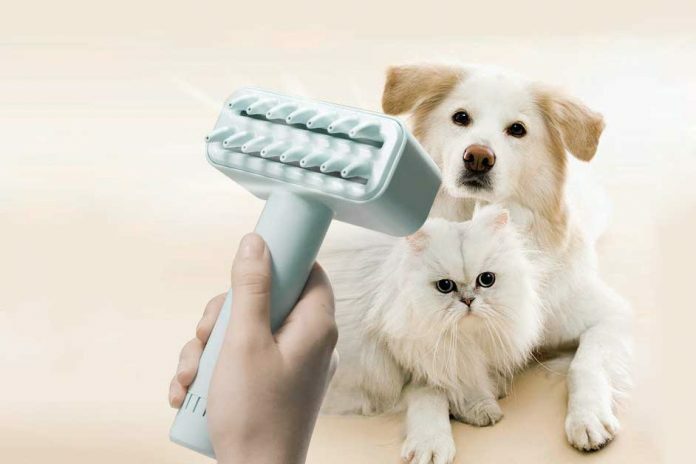 To overcome this problem the YANOKER has designed “Kcomb”, World First Electric Pet Brush To Avoid Skin Disease. 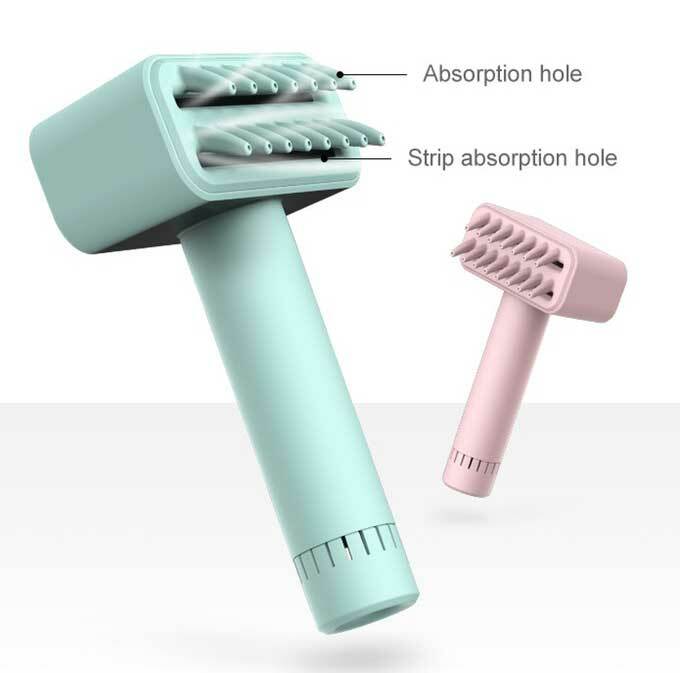 Kcomb collects animal hair and helps to fix hairs, at the same time also do great for removing dirt from hair. Long-term use can reduce hair knotting, keep skin fresh, promote oil secretion, and speed up metabolism. Combing daily helps to prevent matting and hairball formation. 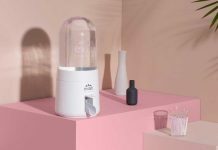 The powerful adsorption capacity of the device collects all the shedding hair as well as absorbs dander on the skin and dusty between hair. 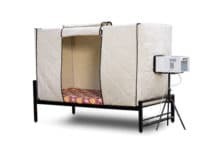 This will definitely help to reduce the chances of pet skin diseases. 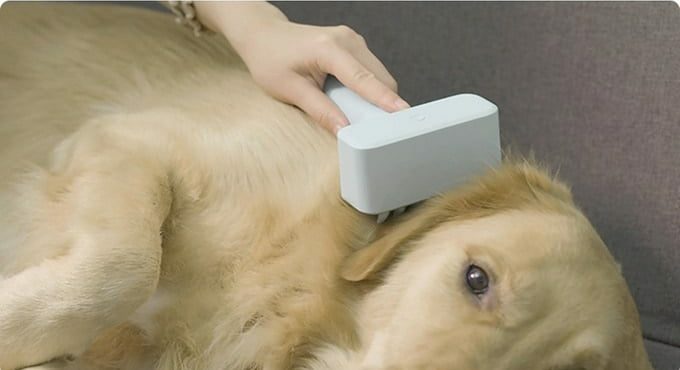 Moreover, the unique adsorption head design of Kcomb also helps pets massage their body. This can speed up the blood circulation of animals and make them more energetic. 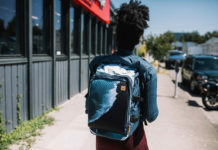 One button is given on the front of the rectangular head which is used for three different gear wind selection and very easy to learn to use. It weighs just 200grams and has a rechargeable 600mAh Li-Polymer battery. 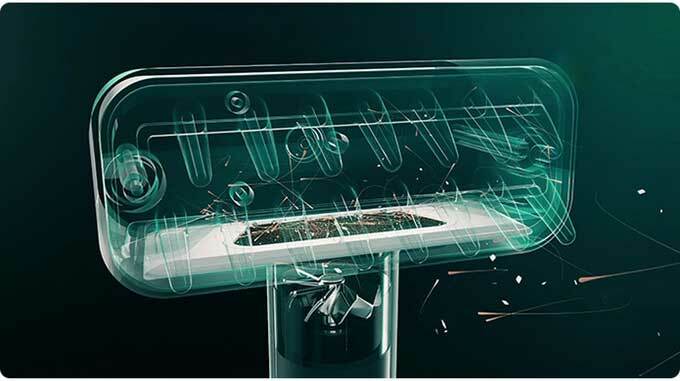 Besides, Kcomb equipped with a high speed, but the silent motor that can be rotated at speeds of up to 34,000 rpm, and seven light blades in 24mm provide powerful suction while making light noise. Each comb opening has a tiny absorption hole combined with the long strips. The hair is being combed by long strips and sent to the thin pores during the combing process to achieve the purpose of absorbing and collecting the dirty. Also, it comes with professional filter cotton for inhaling air filled with dander and parasites. 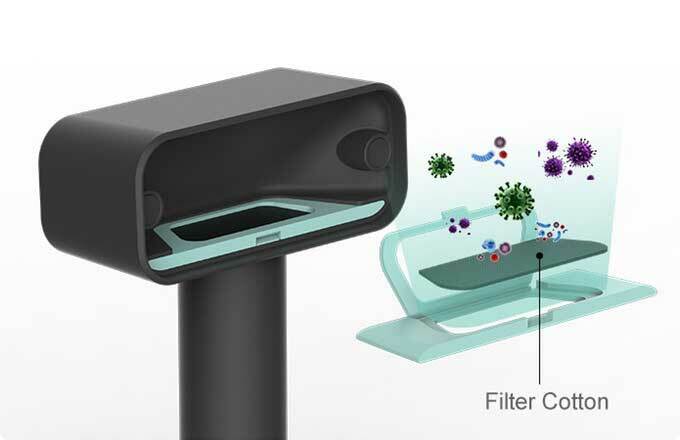 The filter adopts the special snap-fit design for easy replacement. Kcomb uses wireless charging technology while the indicator light is always on when it is a full charge. It can last for 3 hours with a full charge. In addition, spending more time will improve the relationship between you and pets. 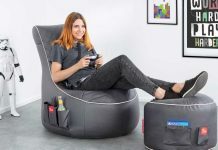 Its rectangular head with a comfortable handle is made of ABS material, it’s stylish and compact.